Is it possible to fall in love with a location? For me, this has happened twice. I went to a certain place in the world, was completely enamored, couldn’t wait to get more of it and lusted after it even from a distance. We went to the Lauterbrunnen valley several years ago and I fell head over heels. In fact, just writing this post had me itching to go back for yet another dose of stunning views, peacefulness in all direction and a piece of nature you can’t find anywhere else in the world. 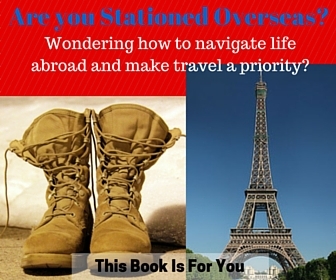 Essentially, there is a flat valley and on either side are your picture perfect Swiss Alps. We wanted to explore both sides of the valley this go around, so we rented a tent space and set up camp. (Side note: it was the 4th of July the night we arrived. Anyone who knows me knows that this is my favorite holiday! So, naturally, I had to be in my red, white and blue colors and insisted on having grilled hot dogs for dinner. I was also easily persuaded to drink a cold beer. While there were no fireworks or parades, I’d say if I had to spend the 4th not in the States, this wasn’t too shabby of a deal). So many people head straight for Grindelwald and or Gimmelwald, looming just above the Lauterbrunnen Valley. In fact, if you’ve done any research on the area, most people will say to go straight up into the mountains and not to waste your time in the valley floor. I don’t really disagree with these people because how could you NOT love the views and sites up in the heavens and clouds? I mean, really….HELLO BEAUTIFUL! You can easily use Lauterbrunnen as a base for your excursions. In fact, one year, we did just this as we camped in the valley and one day went to the Grindelwald side, returned to the campsite and then did the Gimmelwald side the following day. Coming from Nebraska, we camped A LOT! So it took me quite a bit of adjusting to camping in Europe! If you have never camped in Europe, it might seem a bit odd (and pricey) compared to what you are used to. Breithorn Camping: We personally have stayed in the teensy tiny town of Stechelberg and camped at the Breithorn campingplatz. We found it to be “cheaper” than other hotels, hostels and campgrounds (at the time, for just the two of us, our car and our tent, we paid 24 CHF a night). There really isn’t much here besides a few lovely walks on the valley floor. The facility was bare, but completely sufficient for our personal camping needs. Afterall, we wanted to enjoy camping in addition to not spending an arm and a leg. So, all we needed was a place to pitch a tent and we were good. The bathrooms were the cleanest camping restrooms I’ve ever been in! There is a VERY small little convenient store that sells things like overpriced chips, but don’t expect to get a meal. It didn’t hurt that with little to no big towns (and therefore light and pollution) nearby, so the night skies looked liked millions of diamonds twinkling against the blackest canvas. Or, the fact that we could get fresh, raw milk just down the road from a tiny little farmhouse. So, it doesn’t take much to please us in life, but we loved the simplicity (and cost) of this campsite. 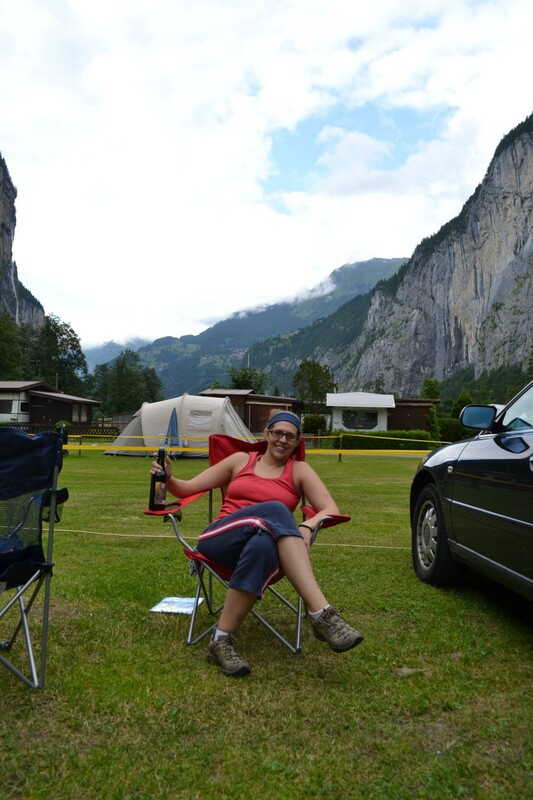 Camping Jungfrau: This is a very large facility and has quite a few amenities. However, with that also comes a higher cost for staying there. Many people really enjoy staying at either the cabins or tent-sites at this location. Others stop in for dinners, as it is one of the cheapest ones you can find around. If you are camping in the valley, you can easily grab food at the grocery store in Interlacken. We enjoyed stopping at the Metzgerei (butcher shop) and getting some delicious sausages and meats to grill up! Of course, if you want to save money and are coming from outside of Switzerland, it isn’t a bad idea to just bring food with you. Especially if you are driving, I recommend bringing a cooler with the majority of your foods. Again, Switzerland is EXPENSIVE, so finding any way to save a few bucks was worth it to us! I’ve heard it said that Lauterbrunnen is the valley of 1000 waterfalls. This might be an understatement! Grab the fam and just walk around. There are waterfalls everywhere you look and the valley is so flat that it makes for the perfect evening or early morning stroll. Speaking of waterfalls… ever imagined what it would be like to see a glacier (melted) carving it’s way through anything in it’s path? That is what the Trummelbach Falls are and it is amazing to see the waterfall INSIDE a cave with all it’s might and power. Again, not a TON to do here, but it is fun to walk around the village, grab a bite to eat, etc. From here, you can find companies to do canyoning, tubing and river rafting and several other “extreme” sports. If wanting to take it a bit slower, you can even learn to make true Swiss Chocolates at the Funky Chocolate Club. Or, of course, use this as the base to get up to Grindelwald, the Jungfrau and other beautiful alpine towns. So, as you can see, there really isn’t a laundry list of things you MUST do in Lauterbrunnen, especially considering that all the highlights are just a short cable car ride up into the mountains. However, if you are looking for a way to save a few pennies, see both sides of the valley or just want to relax and go camping with your friends or family, you really can’t pick a more picturesque location! Fell in love with this too. 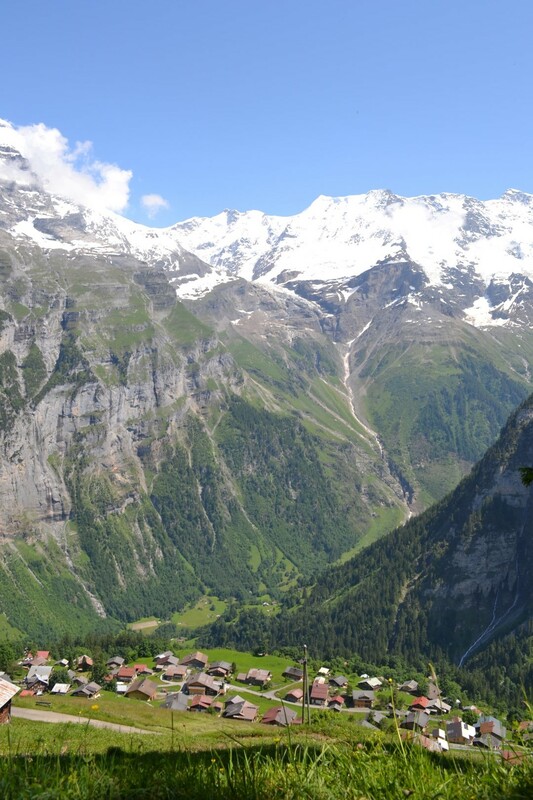 We had a chalet in the middle of the valley and then we walked behind the waterfalls and I absolutely loved Jungfrau. Must visit indeed. Yes I think its possible to fall in love with a place. I fell in love with Strasbourg in Alsace when I visited France! Great post btw! Camping with that view looks so great! I’ve not heard of that area before so this is a great introduction. I’d like to check out the cute little town instead of skipping it. Exactly! I mean, any mountains are gorgeous, but there is just something about those Swiss Alps! I love this area of Switzerland! we went in winter, though, for skiing. camping out under the mountain sky would be amazing for sure! 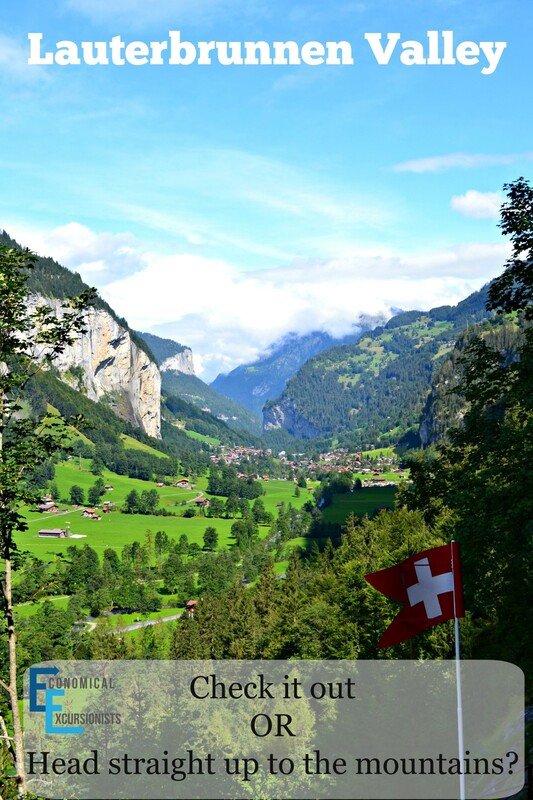 I’d love to go back and experience and hike in the Swiss Alps in summer! I absolutely want to skydive in Interlaken, too! Skydiving there would be phenomenal!!! I looked into paragliding one year we went, but it was just too expensive (So I did it over the Neuschwanstein castle in Germany instead) but gliding over the Swiss Alps surely would have been something else! I love the pictures, what an amazing valley. Yes, Switzerland is expensive but it is gorgeous as well… I went camping there lots of times and love hiking in the Alps. Thanks for the detailed advice about Lauterbrunnen, haven’t been there but would love to go because of this article! Wow the view of the stunning alps is enough to visit the place. Very ideal place to hike and camp. Alps and falls perfect place for a getaway. Those mountains are so big – nature is so amazingly beautiful. Did you go on any walking tours? ← Family Friendly Hostels- Should we even bother?